When I first caught glimpse of the AlphaGrip, I thought to myself “Well, I guess the jig is up. 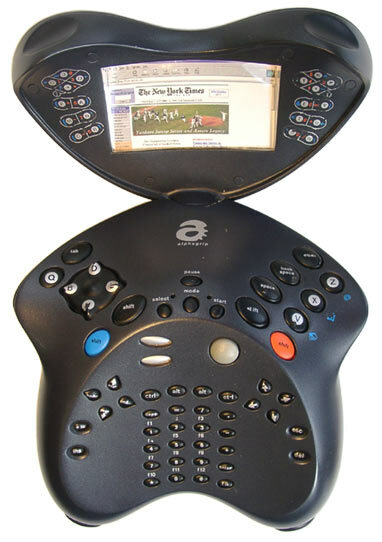 We humans had a fine run on Earth but the alien visitors have finally landed.” I was relieved to discover that the AlphaGrip Handheld Computer is actually a very terrestrial device. 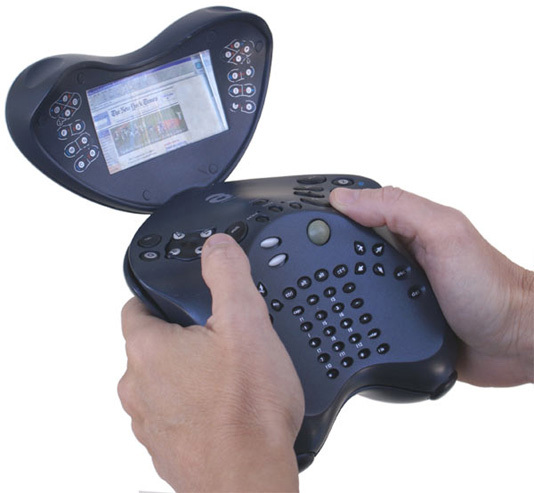 A high-performance high-speed portable concept computer made for gamers. 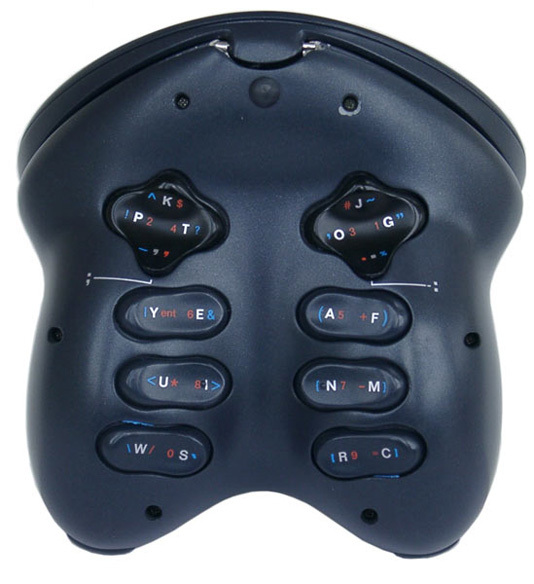 The AlphaGrip features a overall killer hit list of interface specs, such as handwriting recognition so you can use a stylus to write directly to the screen, a 10 finger touch typing system, a thumb-controlled trackball, and buttons that are positioned to increase typing speed up to 200%, while maintaining a pretty dainty size measuring only 6 5/8 x 6 3/8 x 3.5 inches, with an optional folding display of just 3 inches across.